“The world is your playground” isn’t all that big a cliché. Everyday people just like you are picking up their laptops and going deskless, extending the concept of a 9-to-5 by working remotely. Enter: No Desk Project. 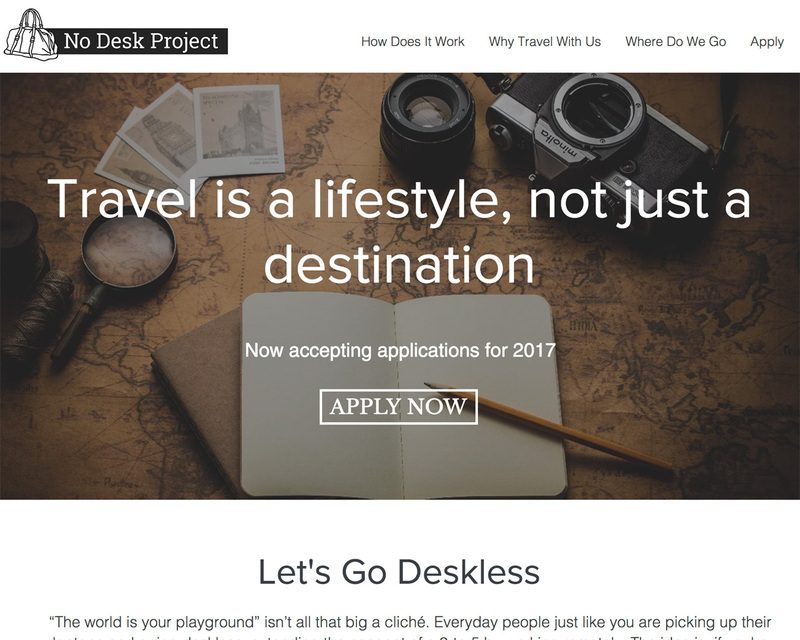 We bring together a group of like-minded digital nomads who challenge the status quo and dare to make a difference. While work and travel is pretty revolutionary in itself, we believe in looking beyond the now to develop a deeper understanding of our world. Given this, a group of wellness experts accompany our nomads during their travels to guide them: a personal trainer, nutritionist, yoga and meditation instructor, and a volunteer coordinator. All of this—along with accommodations, coworking spaces, air travel, networking opportunities, community events—for the price of your average big-city rent. Because we’re that awesome. And you deserve it. And [email protected] capitalism. The formula is simple: three countries, three months, three modules, and a whole lot of holistic living. The three modules are yoga and meditation in Bali, fitness and nutrition in Thailand, and volunteer work in India. From group sessions to one-on-one support, the experts are there to track and ensure the success of our No Deskers. We saved our volunteering module for last because one needs to put their own metaphorical oxygen mask of wellness on before helping others. And we’re looking to help. We’re looking to make a difference. We’re looking to disrupt the status quo and shift the trajectory of everything that comes after us. We want the bold, the courageous, the crazy, the ambitious to break out of their routines and join us. Dare to imagine the biggest difference you might make, and move from debating to doing with No Desk Project.